A couple of weeks ago I visited a new knitting/sewing store in Denver, Fabric Bliss. I found a yarn that I'd never seen before: Rowan by Amy Butler Belle Organic DK. 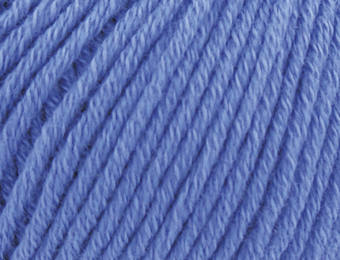 I couldn't resist picking up one ball to do a test swatch and I chose color #002, Cornflower. It's 50% organic wool and 50% organic cotton. My first impression is very favorable. It's soft and has excellent stitch definition. One day I may get a sweater's worth. There are many pretty colors to choose from, so it will be hard to decide, but I do really like this particular shade. I thinking that a cabled cardigan would be nice. Perhaps with some silver buttons. In the meantime, I've found a perfect little project. 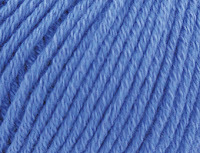 I'm using this yarn to knit a dress, hat and coat for Queen Elizabeth II. 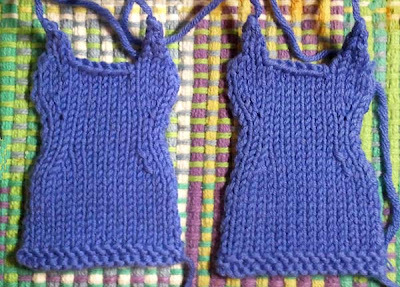 The knitting of the dress is finished. 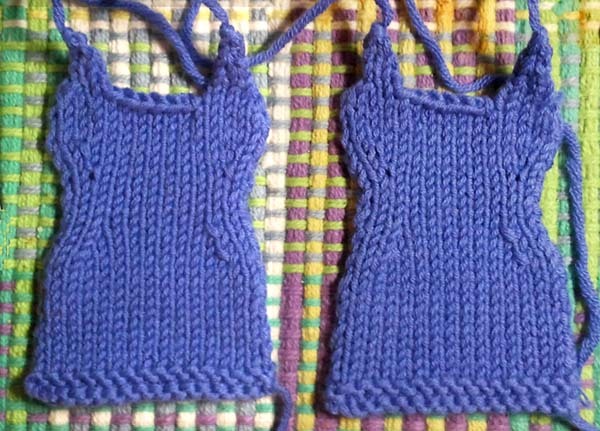 Both pieces are identical. I just need to sew the front and back together. Look at the waist shaping. It appears that Her Majesty has a nice figure hiding under her coat! This will probably be a long-term project as it's going to be a Christmas gift. But, with all the talk about the Royal wedding, I was in the mood to start it now. Besides, I had this nice new yarn to try out. I've been trying to make time to visit Fabric Bliss for weeks. Really need to check it out. The queen's dress is adorable!